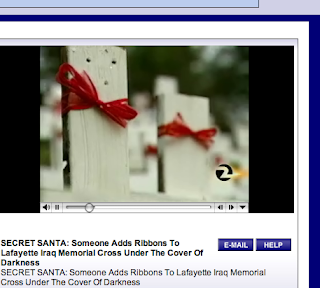 On Christmas eve an anonymous person tied red ribbons to many of the crosses. With such actions, and their inverse of vandalism, the power of anonymity appears. A christmas miracle will always make the evening news. KTVU channel 2 reports.